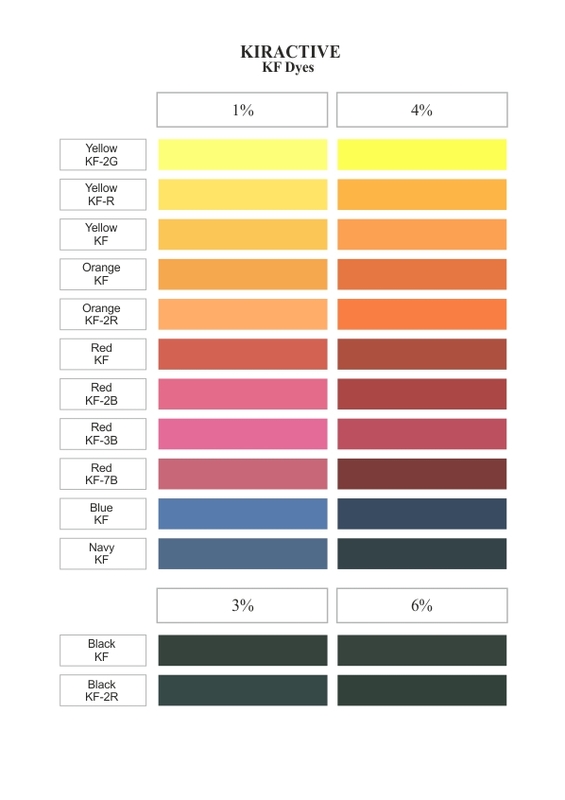 Kiractive KF Dyes | Kiri Industries Ltd. These are hetero bifunctional dyes suitable for exhaust dyeing at 60 C and cold batch dyeing. They have good reproducibility, fastness level and suitable for medium to deep shades.